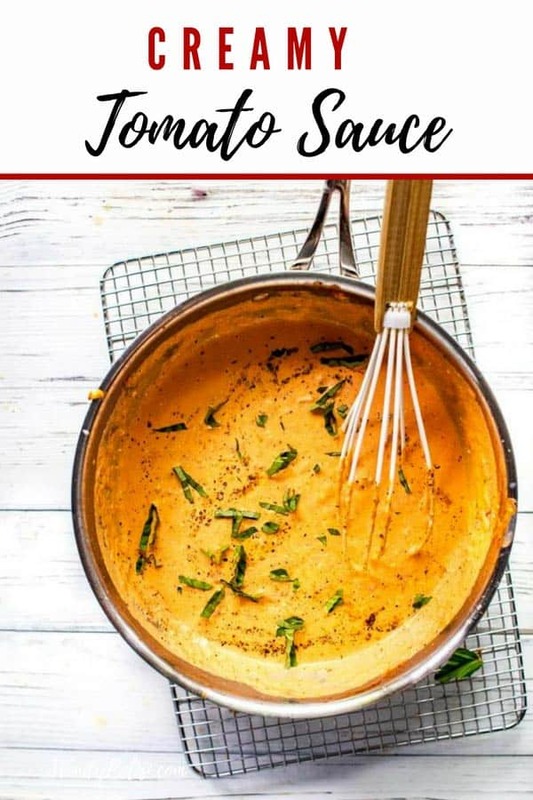 This Creamy Tomato Sauce with Cream Cheese is a swoon-worthy tomato sauce that is perfect for pasta or zucchini noodles! It also makes a fabulous sauce for chicken. It comes together in less than ten minutes, making this rich and creamy sauce perfect for a weeknight meal. I have always loved anything rich and creamy. In my (much) younger years, I counted sour cream as one of my favorite foods. The challenge is that as I’ve gotten older, eating a red sauce to late as lead to…unpleasant side effects. The acid late at night is just too much for me. Luckily I have found that if I cut the acid with a little creaminess, I can still enjoy all of my favorite dishes. 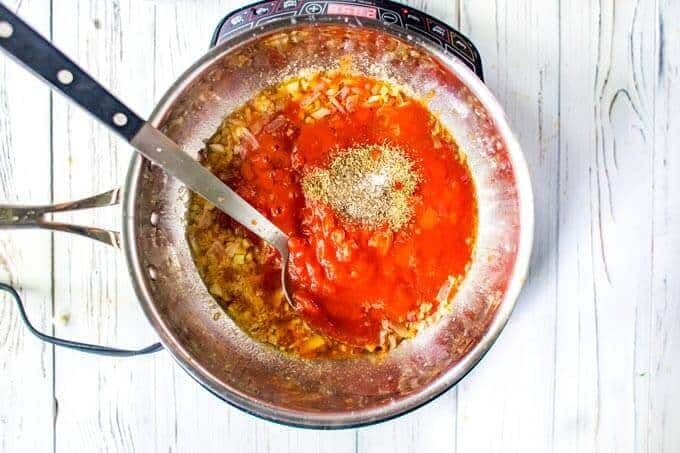 This Creamy Tomato Pasta Sauce is so rich! I love that you can adapt it to suit most any kind of diet. Keto? No problem, use heavy cream. 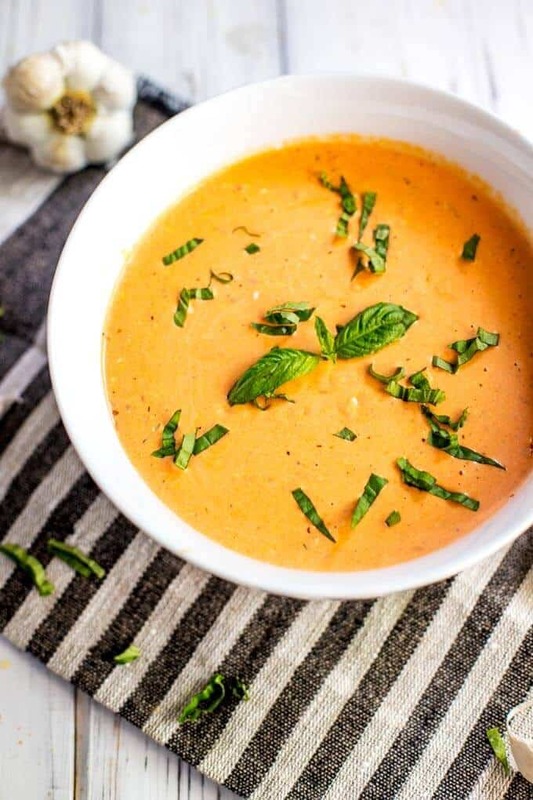 Want to make this creamy tomato sauce lower fat? Use my quinoa cream and switch out the cream cheese for Neufchatel cheese. I can stretch a single recipe of this to about three or four different dishes. I like to freeze it in mason jars and thaw overnight in the fridge prior to heating and serving. It is perfect to toss with some pasta or zucchini noodles and spinach for an easy meal. 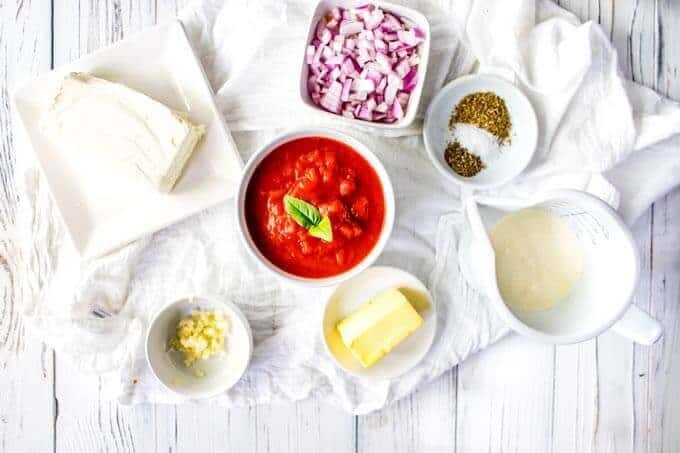 2.1 How Do You Make a Creamy Tomato Pasta Sauce? 2.2 Can You Substitute Milk for Heavy Cream? 2.3 Do You Put Sugar in Tomato Sauce? 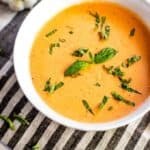 How Do You Make a Creamy Tomato Pasta Sauce? 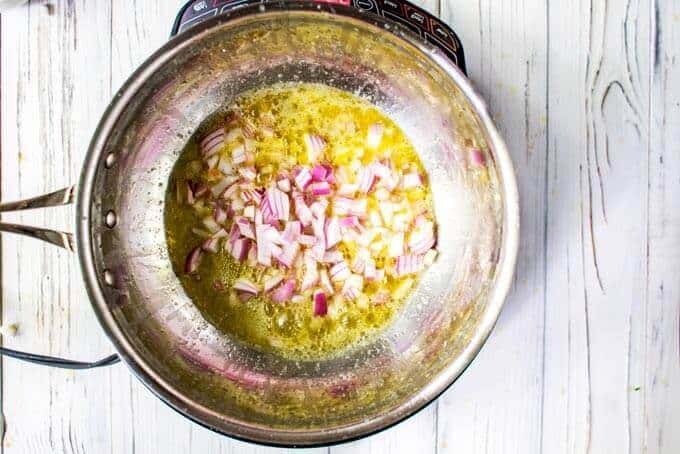 Cook onion for eight minutes; stir in garlic and cook another 30 seconds. Add tomatoes and seasonings and bring to a boil. Reduce to a simmer and cook for five minutes. Add cubed cream cheese to the pan. Reduce heat to low and cook, stirring often, until melted. Can You Substitute Milk for Heavy Cream? Absolutely! 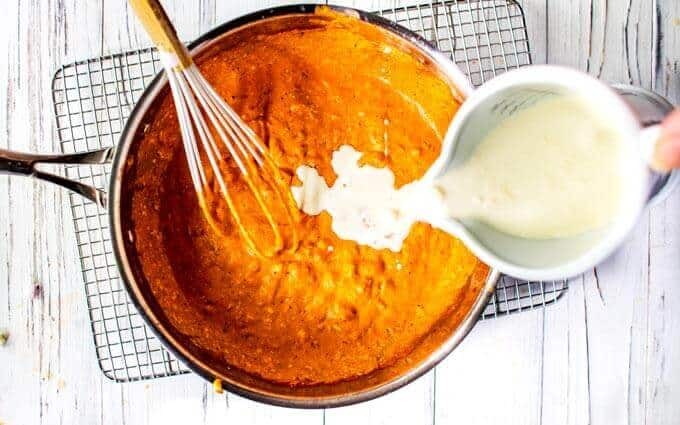 Heavy cream makes this sauce richer, but you can substitute milk or half-and-half if you like. Another great option if you are not watching carbs is to use my Quinoa Cream. 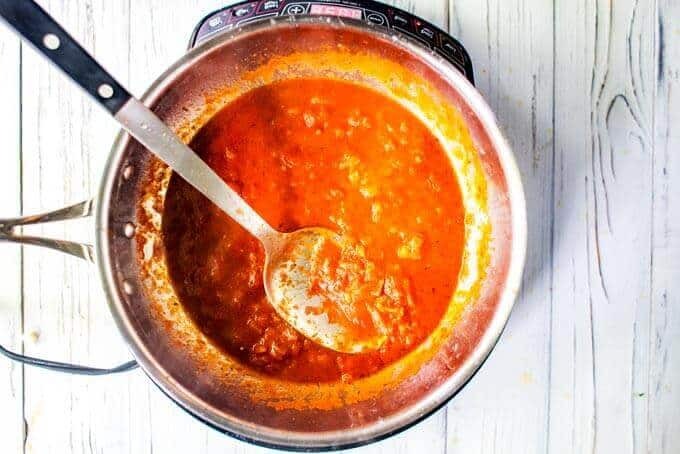 Do You Put Sugar in Tomato Sauce? Whether or not you put sugar in your tomato sauce is completely up to personal preference! I haven’t used any here because I feel like the cream cheese and cream cuts the acid sufficiently. If you would like to add some, feel free. I like Swerve for a low-carb/sugar-free option. Add onion, and cook for 8 minutes. Stir in garlic, and cook for 30 seconds. Add tomatoes, oregano, salt, and pepper. Bring to a boil. Cut cream cheese into small cubes and add to the saucepan. Reduce heat to low, and cook until melted stirring often. For a touch of heat, add 1/2 teaspoon crushed red pepper. 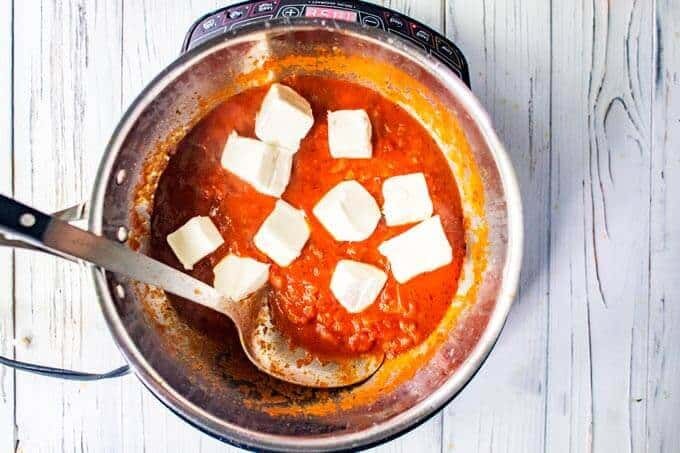 For a unique flair, stir in 1 cup of feta cheese with the cream cheese. Add in 1/4 cup tomato paste. Make sure you stir almost constantly when you add the cream cheese. 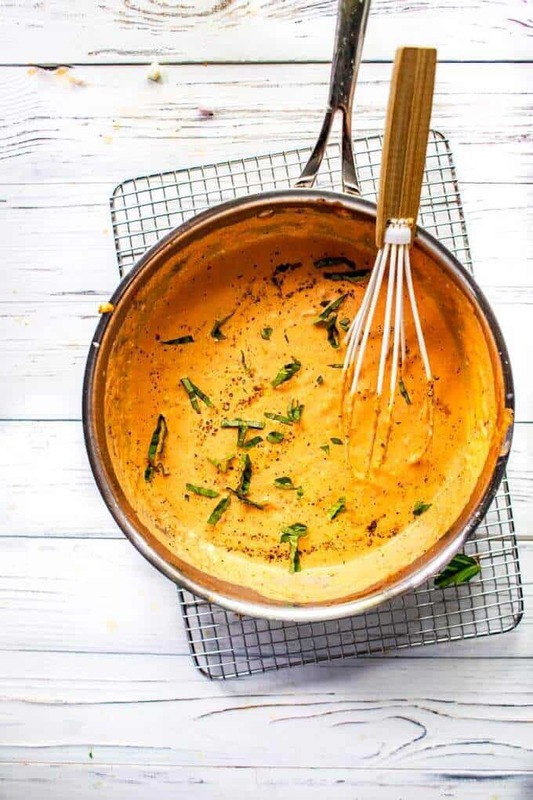 A whisk works best to achieve a smooth, creamy sauce. Don't forget to remove your pan from the stove before whisking in the cream. This sauce may be made ahead and frozen. I like to freeze it in mason jars. To serve, thaw overnight in the fridge and then reheat. This would be delicious over any pasta! YUM!